Time management is out. Energy management is in. Time is a precious resource (some say the most precious resource we have) and we do feel like we never have enough. But if we look at how people use their time we see that people do have more time than they think (how else do we manage to binge watch entire seasons of America’s Next Top Model?) We have time, but we don’t always have energy. How much time do you spend, for example, in unproductive pursuits: binge watching a season of your favorite TV show, aimlessly browsing on social media, or just being disengaged at work (according to Gallup, only about 13% of employees worldwide are engaged at work.) In one study, out of 10,000 people surveyed only 11% of people reported having a great deal of energy throughout their day. Sleep more. OK, this is kind of a no-brainer, but I think we continue to learn more and more about the importance of sleep, rest and recovery. You know those famous studies (by K. Anders Ericsson) you’ve heard about 10,000 hours of deliberate practice being the key differentiator for the best performers across a variety of disciplines? According to Rath, these studies also showed that peak performers clock in an average 8 hours and 36 minutes of sleep (compared to the average American’s 6 hours and 51 minutes.) Sleeping more means you have less time, but with more energy, you accomplish more. Sometimes, you have to slow down to speed up. Connect with others. People become energized by their interactions with other people. There are, of course, “energy vampires” who will sap the life force out of you. But people’s batteries are often charged by their interactions with other people. This is why John Deere (the tractor manufacturer) invites their employees to spend time with the farmers who use their tractors. These interactions energize the workers who come back to the factor with a deeper sense of meaning and purpose about what they do. Work out in the morning. I’ve always preferred to work out in the morning because I do feel like it energizes me throughout the day. I thought this was just a matter of personal preference, but Rath cites studies suggesting that the mood boost from exercising can last as long as 12 hours after the workout. If you work out in the evening, you will sleep through the mood boost and won’t have as much benefit to your energy level. By the way, people who worry about getting tired from exercising, have it backwards. Exercise, at least over the long run, charges our batteries and makes our bodies and brains function better. Give yourself a break. An analysis of employees’ time usage throughout the day led to a surprising observation. What sets the most productive people apart from their less productive colleagues was not their determination to grind out long hours in the office, it was their ability to take effective breaks. The top 10 percent of performers would work for 52 minutes at a time, on average, followed by a 17 minute break before resuming their work. Rath’s strategies (and there are many more in the book) are essentially about three things: creating more meaning in your life by serving others, establishing positive relationships that are supportive and create great life experiences, and making smart decisions about your physical and mental health. So tell me, what do you do to charge your batteries? 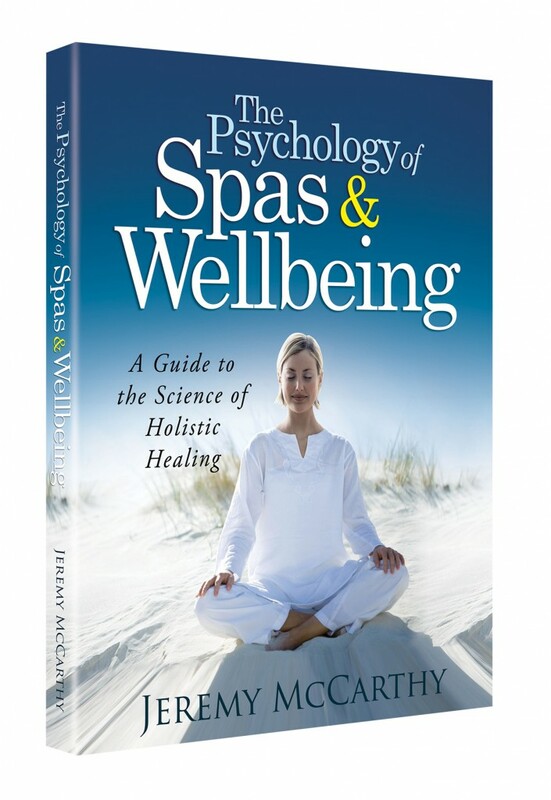 Follow The Psychology of Wellbeing on Facebook: https://www.facebook.com/psychologyofwellbeing. Rath, T. (2015). Are You Fully Charged? 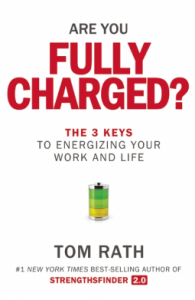 : The 3 Keys to Energizing Your Work and Life. Silicon Guild. Have you ever read Now Discover Your Strengths? It was also written by people from The Gallup Poll and really dives into point #4 on this post. Loved that book. Point #3 is interesting. I’m not a morning person, at all, but have tried working out in the morning several times. However I find that when I exercise at night, I can give at least twice as much effort and energy to my workouts than I can in the mornings. I like the idea of utilizing the mood-boosting results of exercise during the day though. Maybe it’s time to try morning classes again! This might be counter-intuitive in today world but indeed, the more time you spend doing nothing the more important things you get done. The reason of that is the pure quality of our common breaks and free time activities. Most of us use energy and kill the time with useful activities instead of just doing nothing in order to refill our energy. That’s sad, but luckily we can change that. 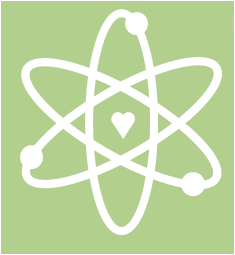 Recently, I’ve written very short, actionable e-book regarding how we could start such change. Interested? Click on my name to check it. Hi Denise! I did read Now Discover Your Strengths–great book. I wrote about strengths here: http://positivepsychologynews.com/news/jeremy-mccarthy/2010110914372. Thanks for your comment! Totally agree with you Gregor! And just downloaded your e-book!